Seminal noise act Hijokaidan had a simultaneous release back in March (on the 20th to be exact – so, yeah, I am a bit on the slow side reporting this only now, sorry about that) and they dropped a new album and a live DVD… both of which are very special ones in their own ways. 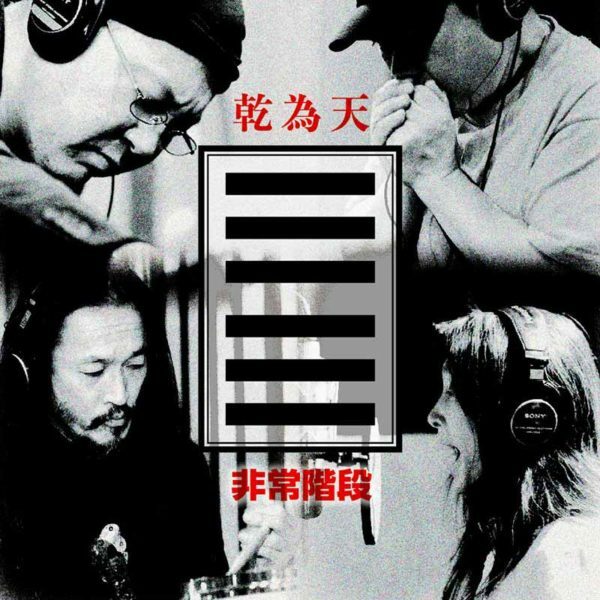 The new studio album, Keniten (乾為天) marks the band’s 40th anniversary, but that’s not the only thing that is special about it: while it opens and closes with two new recordings from the band, the rest of the tracks are solo works, one from each of the four members: drummer Futoshi Okano, singer Junko, noise wizard Toshiji Mikawa and of course singer / guitarist / etc. founding member Jojo Hiroshige. The CD is out on Reveil, Teichiku‘s sub-label for experimental music. On the other hand, the two concerts on the Gokuaku Live 1981 & Kyoaku Live 1981 DVD, as the title suggests, are not recent ones, but two of the earliest Hijokaidan live recordings. The earlier one was recorded at Shinjuku Loft, the most important underground venue of that era and it is known as “Evil Live” for a good reason. 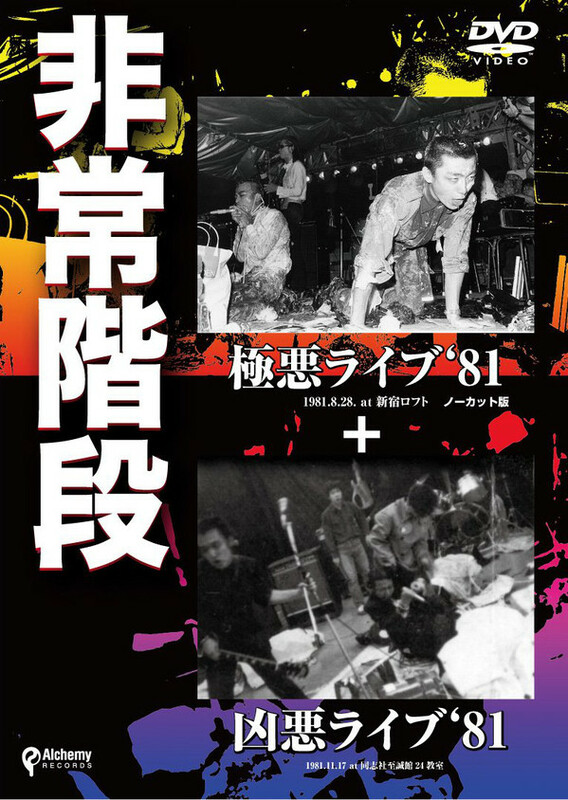 The 23 minutes long footage shows the band at its wildest and most extreme form and actually that was also the show where the most iconic Hijokaidan photo was taken… which is now also featured on the cover. 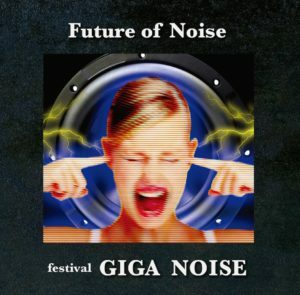 The other one, lasting 19 minutes was recorded three months later at Doshisha University and while it might be a slightly less extreme, it is definitely not less violent and it is most definitely very chaotic as several people join Hijokaidan on stage to take part in the noisemaking, so the line between band members, friends and the audience becomes completely blurred. These are old, amateur recordings, so the quality is far from perfect, but it is really great to see this important piece of Japanoise history, that was previously available as a DVD-R finally getting a proper release! The DVD is out on Hiroshige’s own label Alchemy Records and while it is currently only available in Japanese stores, there are several ones, such as CDJapan that ship worldwide.